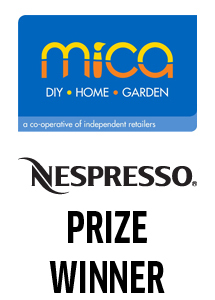 EPE have donated a Nespresso Coffee machine to the Mica D.I.Y. Facebook page prize draw. The lucky winner Debbie went to collect her prize from the St Anne’s Mica store. 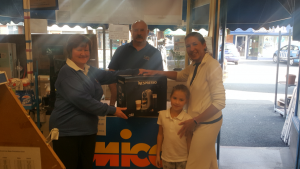 Below you can see a picture of Debbie receiving her prize from Shirley and Ian.